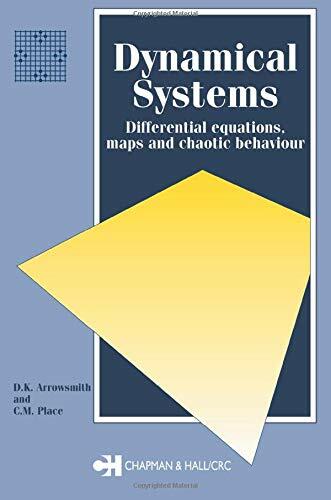 This text discusses the qualitative properties of dynamical systems including both differential equations and maps. The approach taken relies heavily on examples (supported by extensive exercises, hints to solutions and diagrams) to develop the material, including a treatment of chaotic behavior. The unprecedented popular interest shown in recent years in the chaotic behavior of discrete dynamic systems including such topics as chaos and fractals has had its impact on the undergraduate and graduate curriculum. However there has, until now, been no text which sets out this developing area of mathematics within the context of standard teaching of ordinary differential equations. Applications in physics, engineering, and geology are considered and introductions to fractal imaging and cellular automata are given.